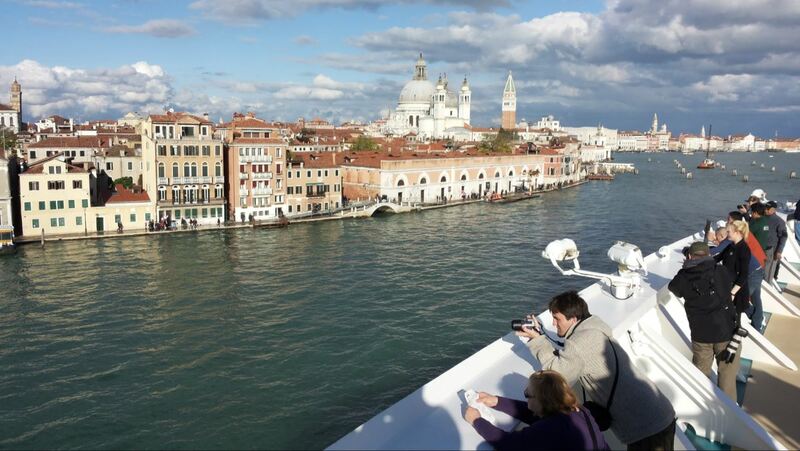 Over the past CruiseToTravel years we’ve been fortunate to enjoy the wonderful views of St. Mark’s Square, the Grand Canal, the Ducal Palace and many other Venetian sights as we sailed to and from Venice. Unfortunately it seems that this is all about to change. After months of study and work the Italian government and Venice officials have agreed on a plan to stop giant cruise ships from sailing past the iconic city on the water. 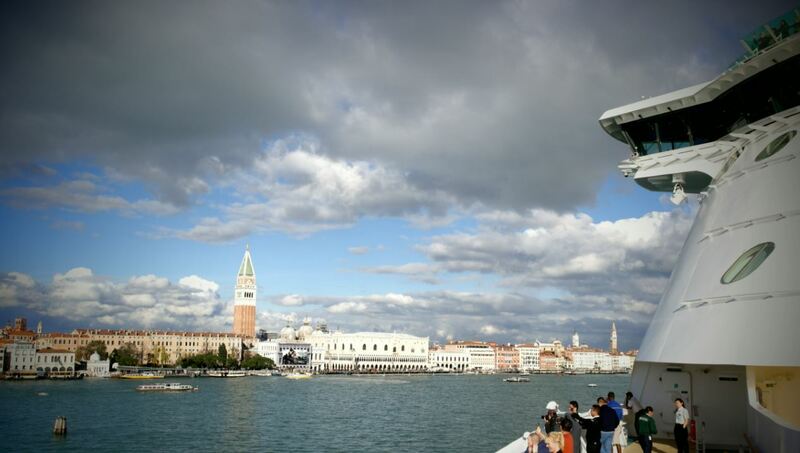 Venetian residents and environmentalists have long protested against the floating resorts sailing close to the fragile city. As a result of this large ships – weighing more than 96,000 tonnes – were banned from the Giudecca canal in 2013, while the number of smaller ships using the waterway was limited to five per day. At the end of 2015 this legislation was overturned. In an attempt to balance the environmental concerns of Venice’s delicate ecosystem with tourism and maritime jobs the Italian government and Venice officials have now agreed on a compromise that will send the largest ships via a less glamorous route to the industrial port of Marghera. Mid-sized ships – between 55,000 and 96,000 tons – will follow the same route towards Marghera but might still be allowed to dock at the cruise port of Venice. Smaller ships – below 55,000 tons – will still be able to sail through the Guidecca Canal past the iconic St. Mark’s Square. The new rules, which will need the construction of a new cruise terminal in Marghera, should go into effect in four years.